You know when you’ve taken your skill as an athlete as far as you can alone. You are probably self-coached, like most athletes. The top pros in most sports have coaches even though they are at the highest levels. Last year, I was entirely self-coached. 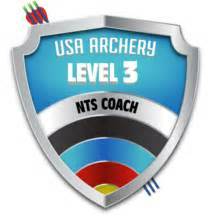 Prior to that I’d retained a level 4 USA coach for help. In hindsight he wasn’t much help. Personally, I think coaching physically challenged him. He wasn’t in good health and I think he’s expired. When we moved to Georgia, there has been no coach until now. Now, I have two coaches. One coach is for archery the other is a mental coach. I’ve got this friend that won the Ironman World Championship a number of times without a coach. I know another Ironman World Champion that relied heavily on coaches. I don’t really know any World Champion archers on the same level. I’ve met some fellows that have won archery World Championships and have trained with one. But, the acquaintances are all superficial. As such, I don’t know if they use coaches although I’ve heard one of them had his coach move in with his family early in his career. In fact, I am a coach. There’s a wide gap between being the athlete and being the coach. In my head I understand what to do to hit an X. In coaching practice I can watch an archer for a few minutes and have an idea of how they’ll perform. But, I can’t see me. As a result, I’ve gotten pretty good with a bow. Still, I think I can be better, hence doubling up on coaches. I’ll give this a year and see how it goes.